Tomorrow is my second class in my practical magick series and it is on Green Magick. This classed is based on my book Garden Witch's Herbal: Green Magick, Herbalism & Spirituality. This a topic near and dear to my heart. It is also one of my favorite touring lectures. I am looking forward to Sunday, as this will be the first time I have taught this class here in Missouri. Here is the class description. This class will be held on Sunday, February 26. 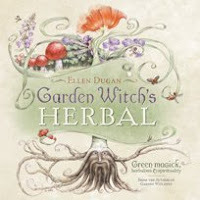 Join award winning author and Master Gardener Ellen Dugan for a lecture on Green Magick & Herbalism. 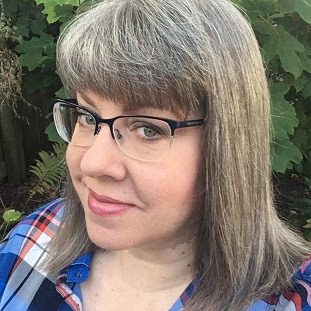 Ellen will discuss the fundamentals of the green path, and the magickal tools of the green trade- which may surprise you. Discover the magick of plants, trees, flowers and herbs that can be easily incorporated into your own style of witchery, in practical and profound ways. This class will inspire, and motivate you to take your magick to the next level. A group green magick ritual will close out the 2 hour class. Ages 18 and up are welcome. Honestly, green magick is a style of magick that works well with any tradition or personal eclectic practice. It is so much more than just gardening and herbs. This is a mind set and it teaches you how to work in harmony with your own flora, fauna, and the seasons. No matter what part of the world you happen to live in. Or what time of year it happens to be. Especially at this time of year when we are hovering between winter and the beginning of spring. Green Magick is indeed all around you. I always get a kick out of my student's reactions when they discover the truth about green magick. It is extremely gratifying to see them have their ah-ha! moment. For once they make that connection to the natural world, they never look at magick the same way again. They learn to tap into the rhythms of the seasons. To flow with the cycles of nature and to appreciate the magick that is found in the part of the world that they call home. Which makes green magick intensely personal and unique for each individual practitioner. For folks who hate the "cookie cutter Wicca stuff", green magick is your answer. Embrace the idea and bring something personal and different into your Craft. 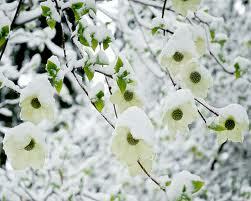 Here in Missouri, spring has been flirting with us and giving us a hint of what is to come for the past few days... I was able to get out and take my walks enjoying the sunshine, and the 60 degree temperatures for a couple of days this week. Just before the big cold front came through. We have had high winds for the past couple of days, and it is damp and chilly- more like February again. But, I think we are supposed to get some mild warmer weather this coming week! 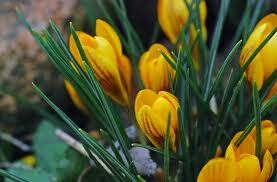 While I was out on my walks I saw patches of bright yellow crocus blooming around the neighborhood. It was so cheerful. Especially against all that brown winter grass. I also noticed a lot of buds swelling on trees. I hope they hold off for a while... Winter is not done with us yet. 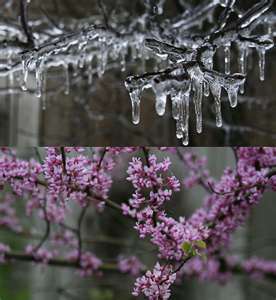 While we are enjoying the classic "February Thaw", we still have about a month to go before spring officially arrives. However, the wheel of the year is turning! 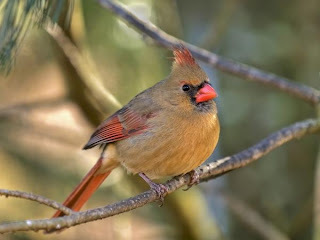 Celebrate the seasons and their magick, however they manifest in your neck of the woods. Explore green magick, open your heart to nature, and see where it leads you. "The very word herb has always seemed to me to be a fascinating one. "(<--I want to go to there!) Oh, Miss Dugan, if only I could cast a magic spell that would put me in the front row of your Sunday's "Green Magick & Herbalism" lecture! I've put both Garden Witch's Herbal AND Seasons of Witchery (Uh-huh, thank the stars above that I remembered to mention it's a pre-order "must".) at the top of my [April] Birthday Wish List! Thank you for all you do AND write! Sounds like another one to add to my wish list. Hope that you have all enjoyed a magickal weekend! Sab and I had so much fun in class Sunday and we both had that "ah-ha!" moment. I've been promised the Herbal as one of my birthday presents (even though taking these classes is technically one of them ^ 3 ^) and I can't wait to read some more in depth. See you next Sunday!